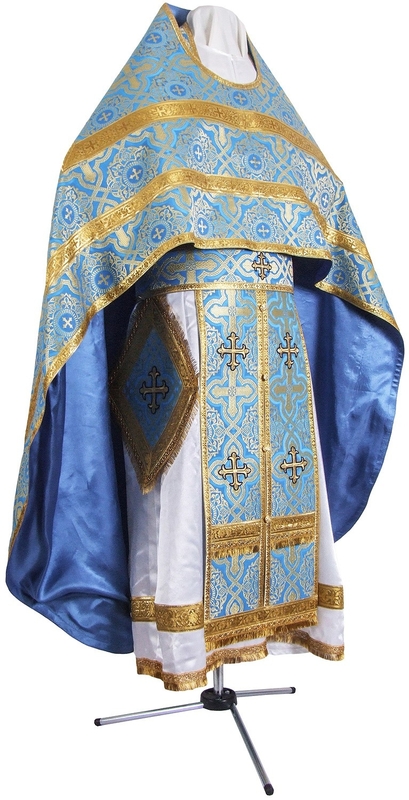 Russian Priest vestments - rayon brocade S2 (blue-gold) - Istok Church Supplies Corp.
Russian Priest vestment set. Rayon jacquard brocade, class S2. Please send us your measurements per our Measurement Chart. Please note that picture for this product is a sample one. If you would like specific fabric (in the same fabric class as this product) to be used for your order, please review Fabrics section and make a note in the Notes field of your order (at the Checkout page) which fabric you prefer. Economy vestment type (Ec) means decoration with inexpensive gallon (usually Indian) and non-embroidered crosses or crosses with inexpensive embroidery (at our discretion). 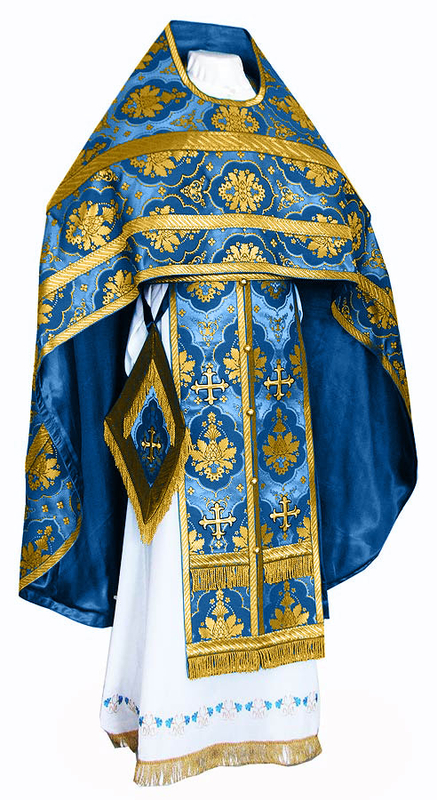 For Standard style (St) we use good quality solid galloon and richly embroidered crosses. Premier stile (Pr) means decoration with excellent hand-embroidered crosses and solid jacquard galloons. Lining - 100% natural rayon. 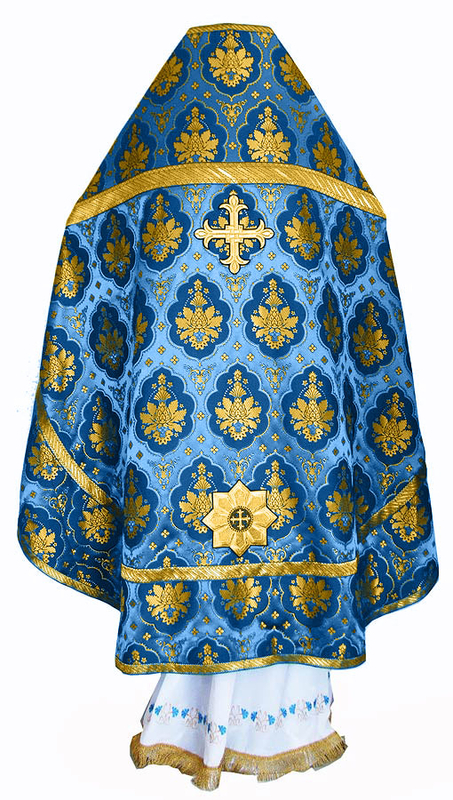 For all vestments we use natural rayon lining (no synthetics). Excellent quality natural velvet is used for inserts. This set includes 6 items: phelonion (chasuble), belt (zone), epigonation (palitsa), nabedrennik, epitralhilion, cuffs (epimanika). If you wish to order matching veils or Podriznik (alb) for this set, you need to add them to you order from the corresponding section of our store. Please indicate in the Note section of your order that these veils must match the vestment set. Washing & Care Instructions: we recommend dry cleaning, no bleach, low temperature ironing inside out.